State auditor Josh Gallion appears before the Legislative Audit and Fiscal Review Committee. Gallion raised the concern during a recent Legislative Audit and Fiscal Review Committee meeting. "I believe when used properly, silos create a small degree of separation, which can be used as an internal control," Gallion told the Committee. "It promotes transparency and accountability." Gallion said eliminating those barriers puts more control in government, and transfers it away from the citizens. In a subsequent interview, Gallion said when the state Constitution was written, it called for decentralized power. "They did not want one centralized person with too much authority," Gallion said. "Our structure is to be siloed. All the authority, and responsibility, is distributed to a number of statewide elected officials, accountable directly to the people." Gallion said a possible consequence of not having silos was demonstrated in the audit of Burgum’s use of state airplanes. The auditor said in some cases, there wasn't proper documentation for Burgum's flights. "We had actions in one organization that were not supported by any documentation, because that documentation was buried within anotehr organization (the Department of Transportation, which manages the planes)," Gallion said. "There should be a transaction, and we can then see what's going on." Gallion said those documents are needed to show the public how its money is being spent. Gallion said having “silos” does not mean state agencies can’t work together to find efficiencies. He said it comes down to accountability. State auditor Josh Gallion said the Governor’s office needs more transparency in its reasons for using state airplanes for travel. The three planes are in the Department of Transportation budget. The budget for air travel is $2.1 million for the biennium for all state agencies. 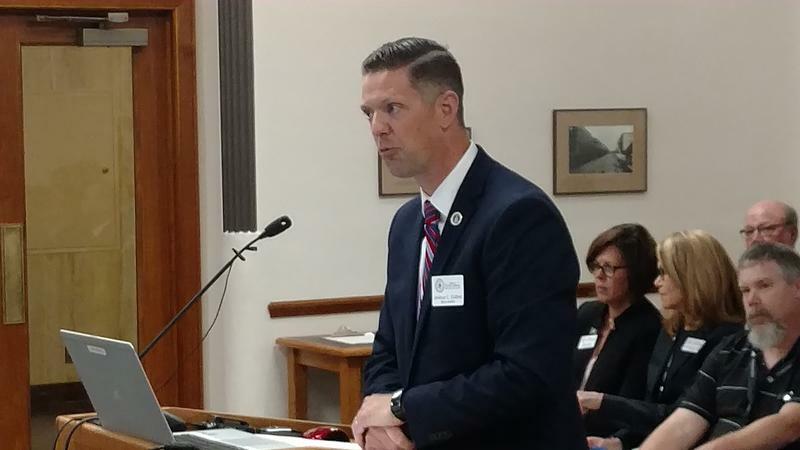 Gallion told the Legislative Audit and Fiscal Review Committee that reasons for some of the trips both current Gov.Doug Burgum and former Gov. Jack Dalrymple took were not clearly spelled out.